There are more than 28 million small businesses in the United States according to the U.S. Small Business Administration. Even more significant, small businesses accounted for 63 percent of net new jobs in the workforce in the last decade. This is why it is important to provide small businesses in Peoria the opportunity to obtain key resources and services. 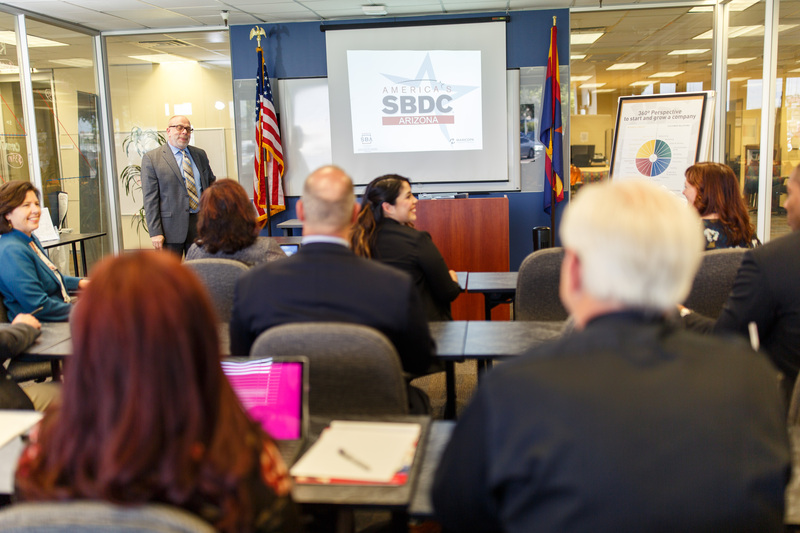 The Maricopa SBDC will survey the local business community and offer classes on topics identified by area business leaders. Class topics range from assistance with launching and growing to ways on sustaining a small business. 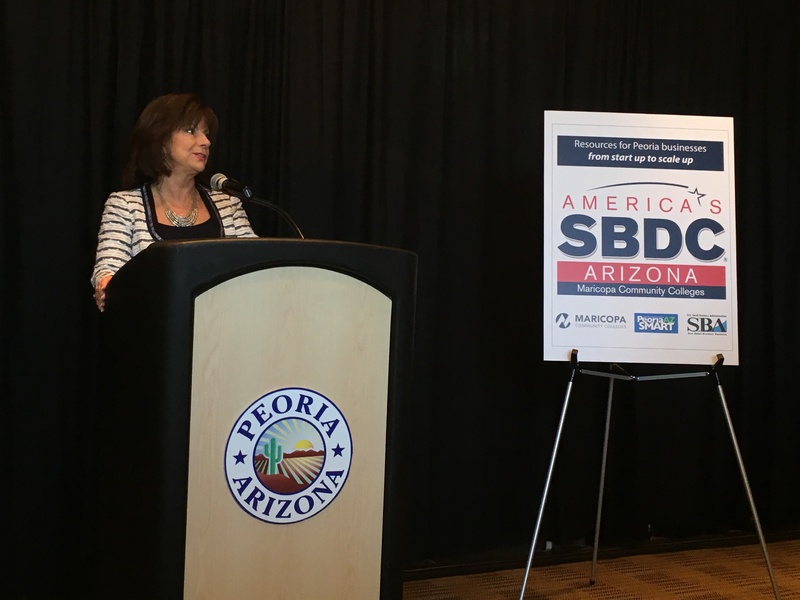 The Maricopa SBDC will offer its services to all business in the City of Peoria, including but not limited to: Old Town Peoria, BioInspire incubator companies, small manufacturers, and service oriented firms. This will be only the second Maricopa SBDC satellite office in the West Valley. The program is anticipated to be fully operational in the next few months. 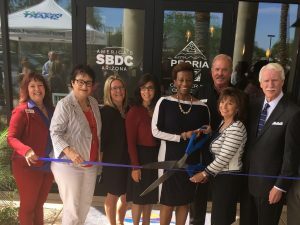 The Peoria Chamber of Commerce will provide office space for the Maricopa SBDC to provide services throughout Peoria, and both will soon be located at Huntington University. Once established, the Center is expected to be staffed by a full-time employee dedicated to serving Peoria businesses. 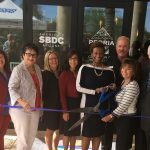 Peoria recognizes the importance of small business in the community and is filling that need to expand entrepreneurial opportunities. 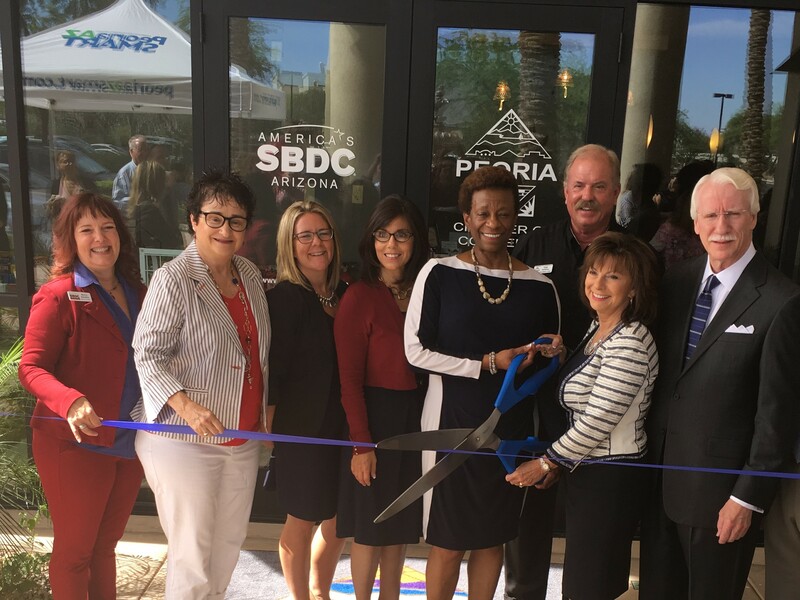 Peoria is invested in its community and wants to see small businesses grow and thrive all over the city. For more information, call Nancy Sanders, Regional Center Director of the Maricopa Small Business Development Center, at 480-784-0590 or email nancy.sanders@domail.maricopa.edu.